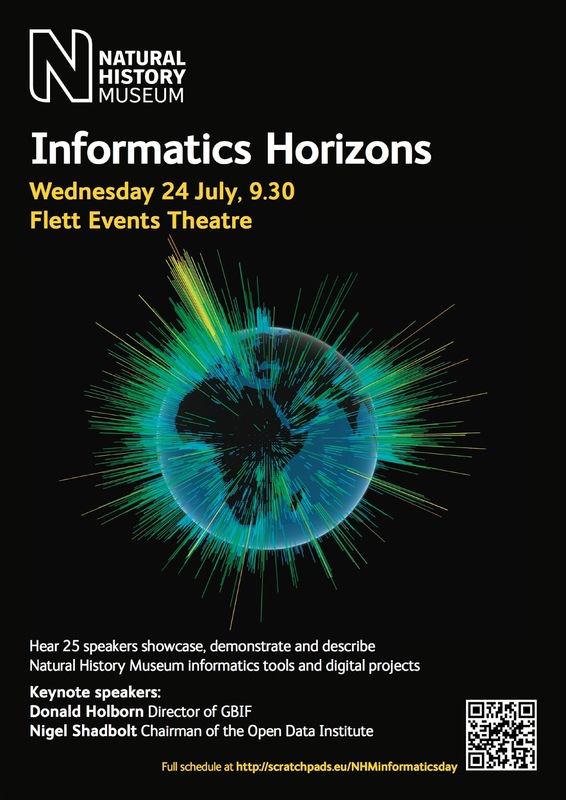 Informatics Horizons is an event on biodiversity informatics at the Natural History Museum, London focussing on the museum's work in this field. I will be giving three talks (one with Vince Smith). John Cummings (Wikimedian in Residence) at the museum will also be talking. The event will be live streamed here on the day.